5 september 2013 – Zieke, uitgeprocedeerde asielzoekers belanden op straat omdat de Immigratie- en Naturalisatiedienst (IND) te veel (administratieve) obstakels opwerpt. De Nationale ombudsman, Alex Brenninkmeijer, vraagt staatssecretaris Teeven van Veiligheid en Justitie om een praktische oplossing om zieke uitgeprocedeerde asielzoekers op te vangen. Het Medisch Opvangproject Ongedocumenteerden en Vluchtelingenwerk dienden een klacht over de IND bij de ombudsman in. Voor de asielzoekers worden zoveel (administratieve) obstakels opgeworpen dat het feitelijk onmogelijk is te voorkomen dat zieke mensen op straat komen. In één zaak gaat het om een uitgeprocedeerde asielzoeker uit Sierra Leone. Zijn behandelend psychiater waarschuwt voor een onvoorspelbare psychiatrische crisissituatie als hij op straat wordt gezet. Maar de man heeft geen paspoort waardoor de aanvraag om opvang niet compleet is en hij dus geen opvang krijgt. A number of Israeli Police officers invaded the Al-Suwwana neighborhood, in occupied East Jerusalem, and kidnapped a Palestinian child. The attack came after a number of extremist Israeli settlers of the Beit Orit illegal settlement, invaded the neighborhood. Resident Ahmad Al-‘Ammoury stated that a number of settlers of Beit Orit, built on Palestinian lands in front of the neighborhood, hurled stones at the residents and their homes without any provocation. The incident led to clashes between local residents and the settlers; the Israeli police then invaded the neighborhood and broke into homes that belong to the families of Al-’Ammoury, Barakat, Abu Al-Hawa and Al-Imam. The police kidnapped a child, identified as Mousa Abu Al-Hawa, after breaking into his family’s home. The attack comes amidst escalating violations and assaults carried out by the police, the army, and extremist settler groups, especially amidst attempts to invade the Al-Aqsa Mosque, and the increasing takeover of Palestinian homes and lands for the benefit of illegal settlement activities. Khameini voices his opinion on any potential attack on Syria. Allegations the Syrian regime used chemical weapons last month are a “pretext” by the West to attack the country, Iran’s supreme leader Ayatollah Ali Khamenei said on Thursday. Iran is Syria’s main regional ally and has warned Western powers against intervening in the country’s civil war, as the United States edges towards launching strikes against the Damascus regime. 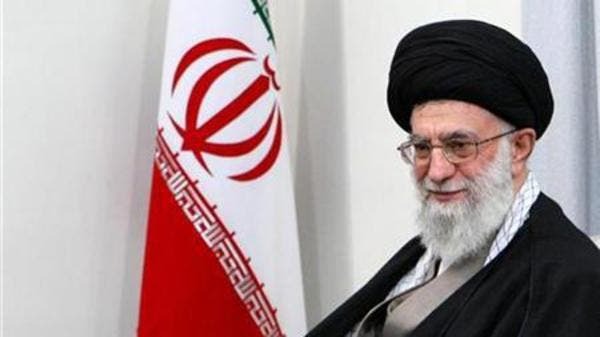 Washington and its allies “are using the chemical weapon (allegation) as a pretext,” and “are saying that they want to intervene for humanitarian reasons,” said Khamenei. “The United States is wrong about Syria, and it is certain they will suffer… just like in Iraq and Afghanistan,”Khamenei told members of the Assembly of Experts, the body that supervises his work. Separately, the chief of Iran’s elite Quds Force unit, Qassem Soleimani, said Tehran will back Syria “until the end” in the face of possible US-led military strikes. Some analysts believe a wider goal of US President Barack Obama’s determination to launch strikes is to blunt Tehran’s growing regional influence and any consequent threat to Washington ally Israel. “The aim of the United States is not to protect human rights… but to destroy the front of resistance (against Israel),” the Quds Force commander was quoted as saying by the media on Thursday. “We will support Syria to the end,” Soleimani added in his speech to the Assembly of Experts. He did not elaborate on the nature of the support and Iran has constantly denied allegations by Western powers that it has sent military forces to prop up President Bashar al-Assad’s embattled regime. Iran’s Defence Minister Hossein Dehqan, meanwhile, ruled out sending troops or weapons to Syria. “The Syrians do not need us to provide them with weapons because they have a defensive anti-aircraft system themselves,” he was cited in the local media as saying. President Hassan Rowhani said Iran will do “everything to prevent” an attack on the Syrian regime, according to extracts from statements published in the media. “Any action against Syria is against the interests of the region but also against the friends of the United States in this region,” he said. The US, France and other countries accuse Assad’s forces of launching chemical weapons attacks on the outskirts of Damascus on August 21, which they say killed hundreds. Obama is seeking congressional backing as well as broader international support for punitive strikes on Assad’s regime. Iran has previously warned that any military action against Syria risks sparking a broader regional conflagration. Asma al-Assad uses her Instagram account to publish photos of a different “reality” in Syria. Affectionately embracing a young girl, serving soup at a mobile kitchen, proffering a doll, Syria’s first lady Asma al-Assad is giving it her all representing a contrasting image of the war-torn country. Syria is in the grip of an unrelenting conflict, yet the image portrayed by Assad’s wife in her Instagram account shows an atmosphere of peace and love, reported the Daily Mail on Thursday. The presidential account on the social media platform is seemingly being used as a propaganda tool to try and mask the horrific atrocities carried out by the regime. More than 110,000 people have died in Syria since March 2011, the Syrian Observatory for Human Rights said Sunday. The PR stunt is doing little to mask pictures, videos and reports leaving Syria. Asma’s lifestyle has been under intense scrutiny over the last two years, with stories of her outrageous spending and extravagant wardrobe circling. Syria’s first lady has repeatedly been portrayed as a modern-day Marie Antoinette, completely out of touch with the reality of her country on social media platforms. “I love ur designer clothes and shoes… paid for by the blood of your people! Seriously, u make Marie Antoinette look like an angel compared to you!,” wrote one Instagram user. As millions have fled Syria for neighboring Jordan, Lebanon and Turkey, the regime has stepped up its attempts to show life-as-normal for the President and his family. The Instagram account displaying the images of Asma was opened in July this year. President Bashar al-Assad and his wife pictured on the same day regime forces carried out an attack in the Duma neighborhood of Damascus. Palestinians wait at a gas station in Gaza City on 1 September 2013, as tightening blockade has worsened fuel crisis. No fuel in #Gaza which kills transportation & paralyzes life! More darkness to b cursed, no more generators, just emptiness all around! These tweets by blogger Omar Ghraieb capture the despair many of Gaza’s almost 1.7 million Palestinian residents feel as Israel’s blockade, compounded by Egypt’s intensifying crackdown, has brought the territory once more to the brink of catastrophe. Since the 3 July military coup against Egypt’s elected president Muhammad Morsi, the military regime has destroyed almost all the vital underground supply tunnels under the Gaza-Egypt border. This week, Egypt began demolishing houses along its side of its border with Gaza, a futile and criminal Israeli-style tactic, that is seen as a prelude to establishing a “buffer zone” to further isolate Gaza. As a result of these and other Egyptian measures, supplies of some critical medicines have hit zero, the construction industry has collapsed, and the Rafah crossing, the only entry and exit for most Gazans, is frequently closed. The population of Gaza still faces 12-hour daily blackouts due to Israel’s destruction of the electricity infrastructure, but even the relief provided by noisy and often dangerous portable generators is fading into darkness as fuel supplies run out. A new report, “Slow Death; The Collective Punishment of Gaza has reached a Critical Stage,” from the human rights monitoring group Euro-Mid Observer, highlights the acute crisis that compounds the effects of the prolonged Israeli blockade. The report is worth reading in full, but these ten facts about the impact of the blockade capture the scale of the mounting catastrophe and underscore the urgent need for pressure on Israel to end it and for Egypt to end its complicity. According to the UN’s Office for the Coordination of Humanitarian Affairs (OCHA), 57 percent of Gaza households are food insecure as of July 2013, however, if the current Israeli and Egyptians measures remain as they are, 65 percent of Gaza households will be food insecure (World Food Program estimate June 2010). As of August 2013, over a third (35.5 percent) of those able and willing to work are unemployed (Palestinian Central Bureau of Statistics) – one of the highest unemployment rates in the world. Economists expect that the continuous closure of the tunnels will lead to a sharp increase in the unemployment level (43 percent by the end of 2013 compare with 32 percent in June 2013). The continuous closure of the tunnels will lead to a 3 percent decline in the growth by the end of 2013 compared with 15 percent as of June 2013. The construction sector is working at less than 15 percent of its previous capacity leading to more than 30,000 losses in job opportunities since July 2013. A longstanding electricity deficit, compounded by shortages in fuel needed to run Gaza’s power plant, results in power outages of up to 12 hours a day (UN OCHA, July 2013). Only a quarter of households receive running water every day, during several hours only. Over 90 percent of the water extracted from the Gaza aquifer is unsafe for human consumption. Some 90 million liters of untreated and partially treated sewage are dumped in the sea off the Gaza coast each day, creating public health hazards. Over 12,000 people are currently displaced due to their inability to reconstruct their homes, destroyed during hostilities (UNOCHA, July 2013). These and other Israeli official statements quoted in the Euro-Mid report highlight that the catastrophe in Gaza is a calculated and intended effect of the siege, making it a war crime and collective punishment under international law. Euro-Mid calls on the “international community,” to pressure Israel to end the blockade. That call is right, but it is an unavoidable fact that the siege would not have lasted seven long years already without the complicity and support of the “international community” in the form of the United States and its allies, particularly the European Union and compliant Arab regimes. Geneva – Jordan on Wednesday warned of the worsening humanitarian situation in Syria and stressed that there is no humanitarian solution to the political crisis there, but a political solution. Foreign Minister Nasser Judeh told a meeting in Geneva with his counterparts from countries neighboring Syria that the Syria crisis is very serious and may trigger further and massive waves of refugees to Syria’s neighbors. 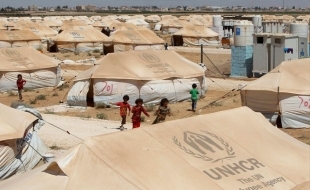 During the meeting dedicated to discussing the refugees issue in Jordan, Turkey, Lebanon and Iraq, Judeh handed the participants a detailed report outlining pressures and burdens borne by Jordan and its economy because of the massive influx of refugees on its territory. He said Jordan is already undergoing major economic challenges and called on the international community to assist and support countries hosting Syrian refugees. At a press conference with the UN High Commissioner for Refugees Antonio Guterres, the minister warned of the serious developments in Syria and their repercussions on countries hosting Syrian refugees especially Jordan, stressing the need for concerted international efforts more than ever to help these countries deal with this situation. He called for preparing well for an expanded international meeting of the Executive Body of the High Commissioner for Refugees at the end of the current month to mobilize sustained institutional support to countries hosting Syrian refugees. Following the meeting, the participants issued a statement appealing to the international community to overcome differences and work together to stop the fighting and violence in Syria. Exciting days in Vancouver! Six local groups recently formed the Palestine Awareness Coalition, coming together to present the now famous four-map poster showing “Disappearing Palestine.” The posters have appeared in several US cities, including New York and San Francisco. They are now on 15 city buses and at one (soon to be two) SkyTrain stations. The Coalition felt so positive about working together with other groups for this effort. Each group has its own mandate and approaches the issues of Israel-Palestine in different ways, but all groups had the common desire for the public to be made more aware of the ever-diminishing land for Palestinians since 1946. All groups recognized that awareness is the seed that’s needed for the plant to sprout and for any positive action to flourish. A grassroots fundraising campaign took place to pay for an initial four weeks of the mural display. We were thrilled with the response and appreciative of the transit authority and ad-makers for agreeing to post the maps. Each of our six groups had input into the wording placed on the maps, and the final posted copy (as seen above) shows the maps as a clear and graphic historical representation of the ever-diminishing space allotment for the Palestinian people and the large numbers who, as a result, have become and remain refugees. I was so pleased that the Coalition was so thoughtful in their approach to this project, the final product simply telling the facts without blame or venom. Not unexpectedly, the officers of the Jewish Federation of Greater Vancouver and the Centre for Israel and Jewish Affairs heard about the approval of the murals to be posted. There followed an immediate reaction to stop the maps from going up. These two organizations wrote letters to the transit company and to the local Jewish community stating that the ads were “anti-Israel,” “question Israel’s right to exist as a Jewish state,” “distort history,” are “malicious” and are “intended to coincide with the sacred holy days of the Jewish New Year.” None of this was so. They urged their readers to write letters of their own to the transit authority to prevent the postings. While the letter campaign was in full swing, the ads were posted. The transit company followed their own guidelines and stood by their decision. I read the letter from the Federation and CIJA, and I read several of the negative comments that appeared in the media. It made me feel quite sad to see the almost knee-jerk responses pouring forth. The Coalition worked very hard to reveal facts only. There was no malice involved. There was no distortion of history. However, the interpretation of our coalition’s work was indeed a distortion, out of all proportion. Some responded as if a vicious crime had taken place, as if nothing but lies had been posted, as if the people in the Coalition were inciting hatred or violence. I don’t understand how, in a democracy, like Canada, the Jewish community would want to stifle anyone’s rights. The right to free expression, the right to opinion, the right to inform and build bridges of understanding – this is what we seek. The hanging of these maps on buses and in stations is not a return to Holocaust Germany, where windows of Jewish shops were smashed, where Jews were isolated into ghettos, and shipped on trains to their gassing at Auschwitz. What if someone had raised awareness then? If someone or a coalition of groups had been able to post on public transit the plight of the Jewish people? What if the inhumane treatment and violation of human rights of the Jews had been brought to public awareness and spoken up about without standing down? I remember my own upbringing around the founding of the state of Israel. What an excitement it was to hear of a homeland for the Jews! I did not learn or know about other people already living on that land. I did not learn or know about their dispersal. I did not learn or know that the beautiful orchards of trees being planted by the Jewish National Fund were atop gravestones in Palestinian cemeteries. I doubt that my family, nor the rest of the Jewish community, knew any of these things. It is only in recent years, when I have opened my own mind and heart to other possibilities, to read, to listen and to inquire, that I have learned otherwise. I went to Israel-Palestine to see for myself, and I discovered the Nakba, the catastrophe, that occurred while we were busy celebrating the founding of the new Jewish state. It wasn’t easy to accept. Doubt and questions slipped off my tongue. I felt quite defensive, quite embarrassed, to think of such a reality, a people driven out from their homes, where they had thrived, tilled their land, grown their crops and built their cities; a people turned into a refugee population, no longer free to return. I remember meeting with others at that time of awakening, all of us in some way ashamed – ashamed that we didn’t know and ashamed at the behaviour of our people – somehow feeling responsible for what we now knew were acts of occupation and colonization. It is still hard to this day for me to understand such treatment of one human to another, coming from a culture that so values social justice and Tikkun Olam, the healing of the world. Surely, my brothers and sisters know that “taking over” and “kicking out,” imprisoning and putting up walls, destroying homes and digging up trees are the very opposite of our Jewish teachings, the opposite of how we learned as children to get along together, respect each other, share whatever space we may have, and to always speak up for the liberation and freedom of all people everywhere. My heart goes out in compassion to those in the Jewish community who are not yet able to face what is true and real and right. To act out of fear and ignorance, to blame and condemn those who have opened their eyes and their hearts, to put on blinders as an immediate response to what is seen as threat and encourage others to do the same — this is disordered thinking, disordered action. I am grateful for my Jewish background and my upbringing. I am grateful that I learned to question and that I learned to see “beyond the Pale.” It is from my own culture that I learned to be a critical thinker and to see things for myself. I applaud the transit company for standing their ground. I applaud the Coalition for its unified effort. I applaud all the individuals and groups who helped to fund the posting of the maps. And in thinking of you in the established Jewish community who are still afraid to be aware, I am reminded of the message in the childhood classic, The Emperor’s New Clothes. It took an innocent child to say, “But he has nothing on!” I say to you, “Open your eyes, look at the maps and see the reality. Palestine is disappearing. Homes are disappearing. Orchards are disappearing. And the Palestinian people, our fellow humans, need to be seen, heard and counted just as any other group of human beings on this earth. Use your letter-writing skills to talk about how to ameliorate the situation, how to find a solution, how to work together for the betterment of all. Seeds of fear and bitterness grow into hatred, separation and isolation. Better to plant seeds of compassion, seeds of understanding, that can grow into just, safe and caring communities. Two months after the military coup in Egypt, the Gaza Strip continues to live through the worst shortages of medical equipment and fuel as well as difficulties on movement in and out of the Strip, a report issued by three international organisations said. EuroMid Observer for Human Rights in cooperation with the Palestinian Return Centre in London (PRC) and Malaysian Consultative Organization (MAPIM) issued the report, ‘Slow Death’. The report focused on the negative effects of the siege on Gaza which has led to severe shortages in the Strip. According to the report, Gaza residents are facing “severe shortages” in their basic needs as well as healthcare equipment and medicines. It also said that all other sectors were suffering serious shortages. The report said that food and fuel needs can barely be met as the Egyptian army has closed most of the tunnels used to smuggle in essential goods. The report also explained how the closure of the Rafah crossing by the Egyptians had affected the freedom of movement of Gaza’s residents. Thousands of Palestinians and foreigners wanting to leave the Strip as well as thousands wanting to enter face major difficulties because of the closure of the crossing the report said. The report, which had a detailed look at the effects of the siege since its early stages, summarised the current deterioration in living conditions in Gaza as being at its worst since November 2008, when Israel launched a full-scale military operation, Cast Lead. The unemployment rate in Gaza has hit 35.5 per cent, according to the report, and the rate is set to continue to rise as more tunnels are being closed day by day. As a result of the shortage of fuel and electricity, only a quarter of households receive running water for a couple of hours on a daily basis. The Gaza economy has endured severe losses worth of $460million in all economic sectors within the past two months. The organisations that issued the report called for Israel to lift the siege on Gaza and to end the suffering of innocent civilians. They also called for Egyptian authorities to fully open the Rafah crossing without any restrictions. On freedom of movement, they called for the international community, mainly the EU and US, to “initiate and support the need for a seaport in Gaza that guarantees the free import and export of goods and private international travel.” This would, to a large extent, contribute to solving the food, fuel and trade problems. Although we decided to proceed with the negotiations we can see now that hopes to advance are very slim… these are fruitless negotiations … To intensify the bilateral meetings and to promise more meetings with the Americans will not save the political process. Only a clear and serious American pressure on Israel will do. According to a senior Palestinian source, Israel has offered to establish a Palestinian state with provisional borders on 60 per cent of the West Bank, while the Israeli settlements and military bases in the West Bank will remain intact. Yediot Ahronot described on Thursday the leaked information, which provides the first glimpse into the Palestinian-Israeli negotiations and includes details of secret meetings. Both parties have pledged to US Secretary of State John Kerry to keep the details of the negotiations confidential. The official, who spoke on the condition of anonymity, also said, “They told us let’s discuss a Palestinian state with temporary borders. We told them let’s begin with discussing a Palestinian State within 1967 boarders, and then we can agree on how the Palestinian state will look.” The Associated Press quoted on Wednesday the Palestinian source’s remarks, however Israel has refused to comment. US Secretary of State John Kerry is scheduled to meet with a delegation of Arab foreign ministers in Rome next Sunday to discuss the ongoing negotiations process. According to the Palestinian Foreign Minister, Riyad Al-Maliki, Kerry is also scheduled to meet him and the President of the Palestinian Authority, Mahmoud Abbas. Bismillâhi Rahmâni Rahîm, Alhamdulillâhi Rabbil ‘Âlamîn was-salâtu was-salâmu ‘alâ nabiyyinâ Muhammadin wa ‘alâ ahlihi wa ashâbihi aj’ma’în amma’ ba’d. In de Naam van Allâh, de Erbarmer, de Meest Barmhartige. Hypocrisie is wereldwijd een van de meest gehate karaktereigenschappen die men kan hebben. In de Islâm worden hypocrieten gezien als een van de meest verachtelijke groepen mensen. Zij lijden vaak aan een persoonlijkheidsstoornis en het ontbreekt hun vooral aan zelfvertrouwen, eergevoel en het vermogen om op zichzelf te rekenen. Daarom heeft een hypocriet steevast de neiging zich te scharen achter degene van wie hij denkt dat hij hem macht, aanzien en geld zou kunnen verschaffen. Door het ‘schijngevoel’ altijd afhankelijk van anderen te zijn, is hij nooit in staat een vast standpunt in te nemen en zich aan enige vorm van waardige principes te houden. Bepaalde principes worden door hem in acht genomen overeenkomstig zijn schijnheilige houding tegenover de standpunten van anderen, waarvan hij vindt dat zij dienen te stroken met zijn begeerten en persoonlijke belangen. Hij kan daarom zijn loyaliteit in een oogwenk bijstellen als de situatie daarom vraagt. Wat ons ertoe heeft aangezet te spreken over hypocrisie en hypocrieten, zijn de uitlatingen die in de media zijn gedaan door een aantal zichzelf benoemde “moslim-vertegenwoordigers”. Dit omdat zij nadrukkelijk en herhaaldelijk de vinger leggen op onderwerpen die vaak aangesneden worden door vele politici en een aantal westerse denkers met de intentie de Islâm en haar voorvechters zwart te maken. Onderwerpen zoals gelijkheid tussen man en vrouw, geweldpleging jegens de vrouw, radicalisme en extremisme. Wij vragen ons hardop af of deze “moslimvertegenwoordigers” uit oprechtheid spreken en het goede voor de moslims willen. Het lijkt erop dat zij trachten een vooraf uitgestippeld plan tot uitvoering te brengen, van waaruit zij een tegenprestatie willen leveren aan degenen die hen met deze functie hebben opgescheept. Zij hadden hier nooit van durven dromen, en hierdoor trachten zij hetgeen waarin de rechts-extremisten hebben gefaald, namelijk; het verprutsen van de eeuwige islâmitische principes door deze te overgieten met ‘moderne’ losbandigheidsbegrippen. Welke andere uitleg zou men kunnen geven aan de uitnodiging van dergelijke figuren aan de moslimjongeren om zogenaamd extremisme en radicalisme te bestrijden, wetende dat deze begrippen die gebezigd worden door de media en politici de laatste tijd geleidelijk geassocieerd worden met de Islâm zoals zij oorspronkelijk geopenbaard werd aan onze geliefde profeet Muhammad (vrede en zegeningen zij met hem). Vandaar dat een aantal moskeeën en de bijbehorende imâms in de media bestempeld worden als zijnde radicaal. Of hebben deze overheidsdienaren een andere versie van de Islâm voor ons in petto? Het mag wel duidelijk zijn dat het bij hun behoorlijk schort aan de nodige kennis over een religie die zij zelf beweren te belijden. Als dit niet zo is, laat hen ons dan de uitleg geven over het radicalisme dat zij zo vijandig gezind zijn. En laat hen dit vervolgens bekendmaken via de media en niet in gesloten zittingen, waarin zij de eventuele hypocrisie en leugens onopgemerkt kunnen vergoelijken, vissend naar de goedkeuring van de moslims. Kortom, hoog tijd voor een heel grote schoonmaakactie. Weg met deze subsidieknuffelaars die op geen enkele wijze de moslims vertegenwoordigen, maar zich meer zorgen maken om hun gladde kapsels/kinnen en strakke driedelige pakken en middels hun “dure” woorden en zinnen indruk proberen te maken in de media. Tijd dus voor een kleine “moslimlente” om echte idealisten met hart voor de Islâm op de juiste plek te krijgen! Moge Allâh de Verhevene ons beschermen tegen hypocrieten en onze daden zonder hypocrisie laten zijn. En moge Allâh de Alwijze ons accepteren als oprechte moslims, Allâhumma âmîn. Subh’ânaka Allâhumma wa bihamdik, ash-hadu allâ illâha illâ anta, astaghfiruka wa atûbu ilayk.